After the destructive reforms to the NHS and the education system, the new Government now has the BBC in its line of fire. 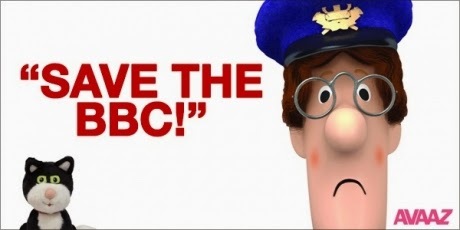 Let's come together to protect the BBC! The BBC is a flagship of journalism and plays a crucial role in British reporting at home and abroad. The government costs of running the World Service were dumped on the BBC last time and there’s no doubt that more is to come. The BBC may have its faults and no one is saying it should be set in sepia. But current whispers from Tory HQ suggest that radical cuts and governance reforms are just around the corner with proposals due out in the coming weeks. The BBC is much loved by many in this country and by 260 million people around the world who rely on it every week. Its costs are tiny compared to what it brings us. The good news is experts say that John Whittingdale does listen to others' views. Last Parliament the Avaaz community achieved what many said was impossible by helping to stop the BSkyB takeover. Saving the BBC, which people across the country wake up to everyday, will require all of us -- but together we can protect this vital institution for generations to come. VIDEO: Who's who in Cameron's new cabinet?